er and sunglasses. Wt. l lb. 2 oz. 49N30816 . . . .
Skipper has long rooted hair. dressed in a pert swimsuit. Living Skipper only in swimsuit. long lashes. Jointed vinyl body. shelf, handle. l 7x3xl3 in. 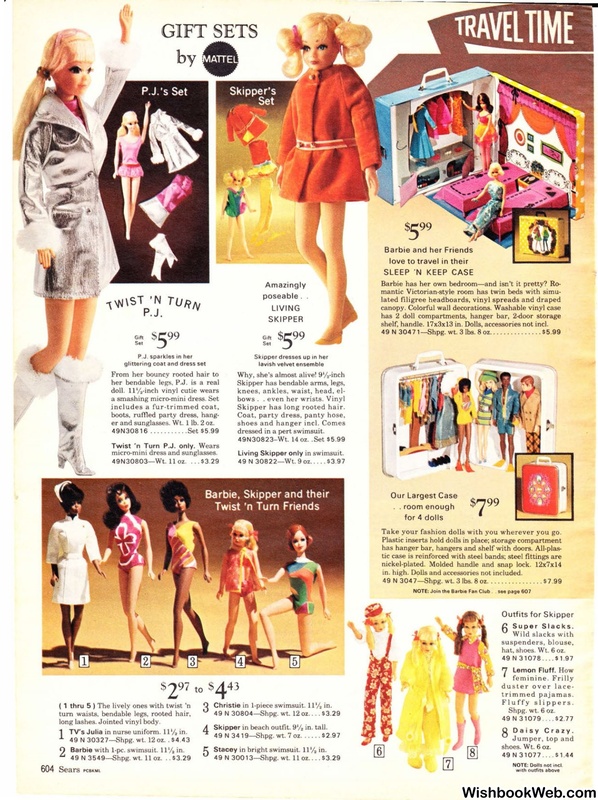 Dolls, accessories not incl. 49 N 30471-Shpg. wt. 3 lbs. Take your fashion dolls with you wherever you go. in. high. Dolls and accessories not included.